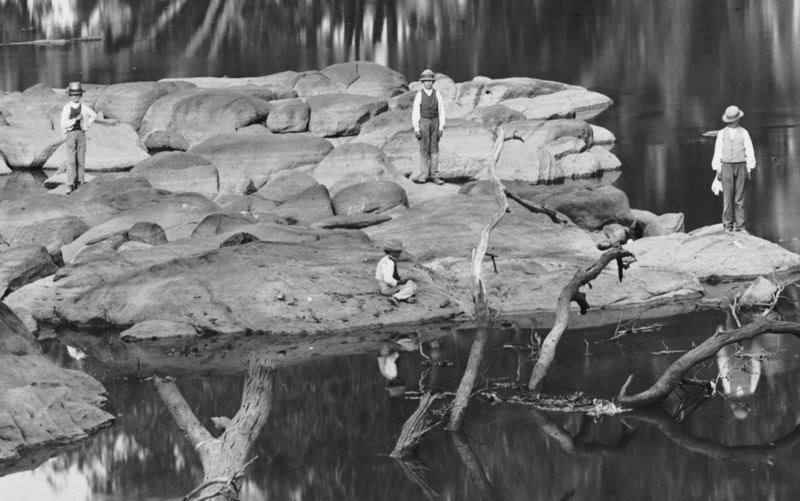 Hiding in this beautiful photograph are four children standing and sitting on the rocks. One of the incredible things about glass wet plate collodion photography is the lack of grain. 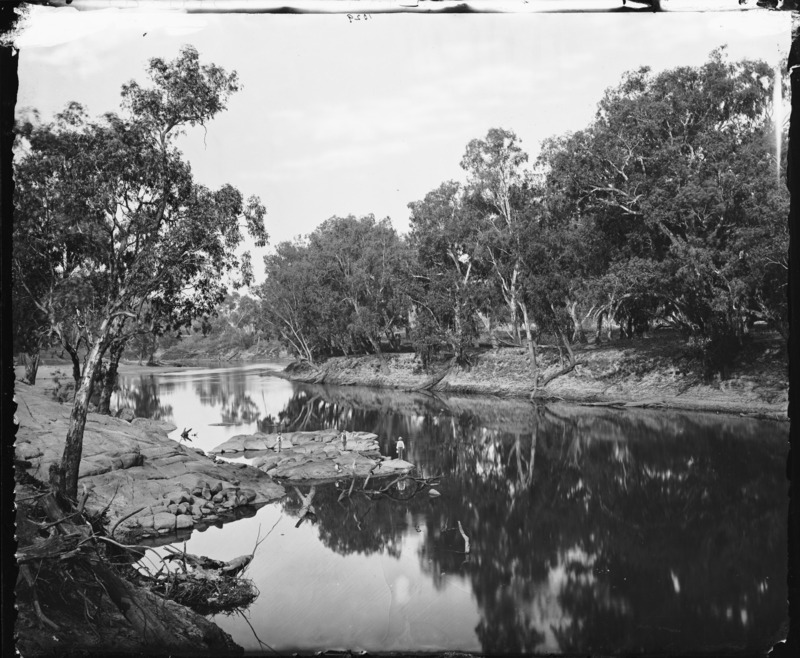 This 10 in x 12 in glass plate was digitised at the State Library in 4 parts with a large format digital camera and stitched together to capture this extraordinary amount of detail. The collection ranges in size from quarter plates to over a metre. To find out more, you can go to to Discover Collections or the Holtermann blog.